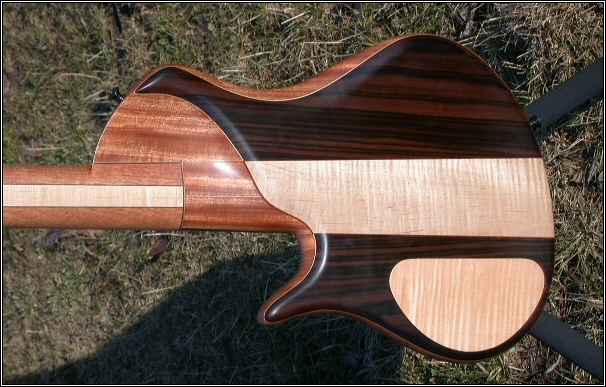 Well folks, I was duly impressed by our first bass by Mark Eshenbaugh , the Brado 5 (which appears to be taken). This new example from Mark goes one (or two ) steps beyond. A singlecut, set-neck design, something I have not seen before. 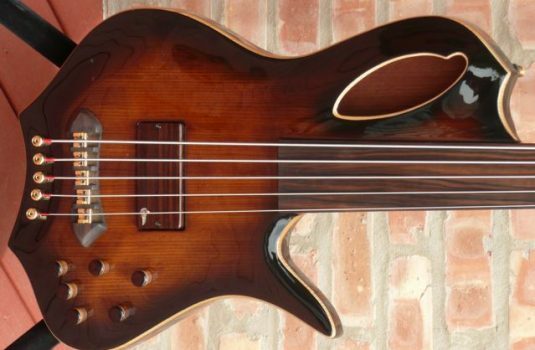 This bass plays like a dream, sounds rich and articulate and is stunning to behold. 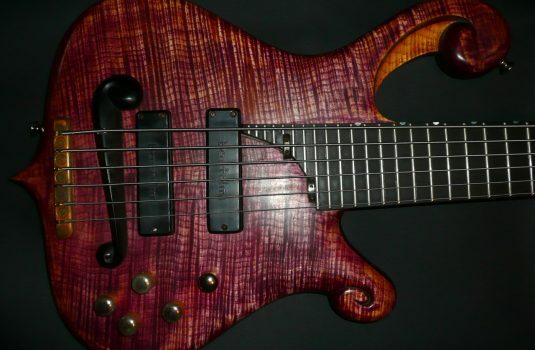 Let me tell you, basses like this challenge my ability to be a “responsible” businessman. 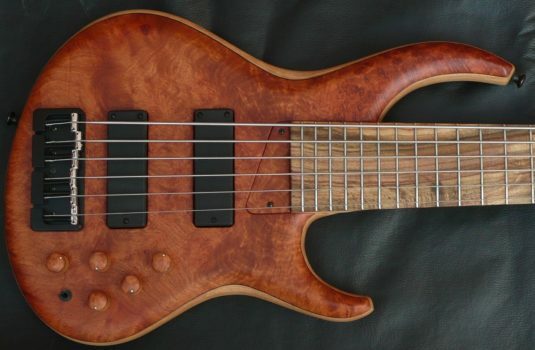 I constantly need to remind myself that this bass is here to be offered to our friends in the bass community, NOT bought, kept and enjoyed by me. 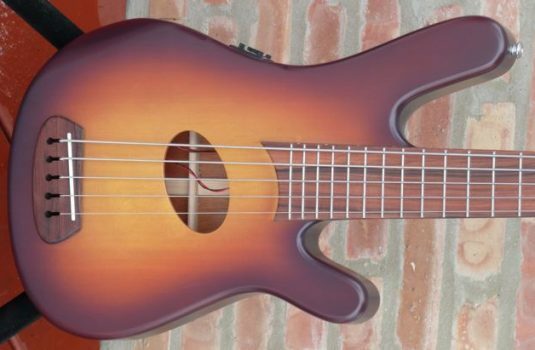 Well, I WILL get one for myself, someday soon. Bet on it. 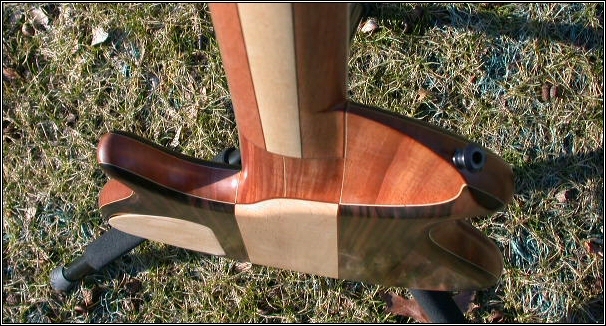 Macassar Ebony top, back and headstock veneer. 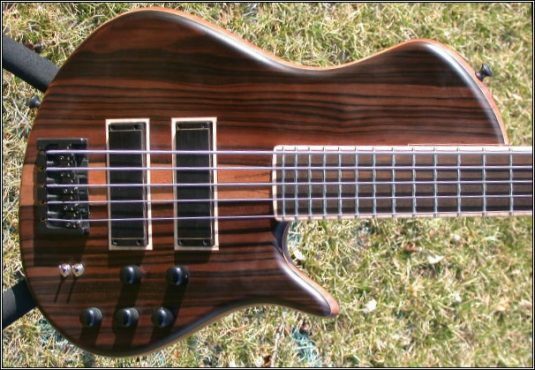 “Mystery” 3 band preamp; audiophile quality components and sound; a very special pre.